Congratulations on your engagement! A wedding is an exciting, memorable occasion but one that requires thorough and thoughtful planning. 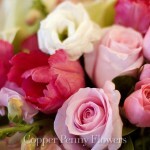 For many brides and married couples to be, acquiring flowers and booking a florist capable of capturing (and executing!) their vision can appear deceivingly simple. However, the devil (aka budget and logistics) often lurks in the details. So let’s pull the curtain back and take a peek at what it takes to achieve a seamless and stunning floral representation of your most important day! 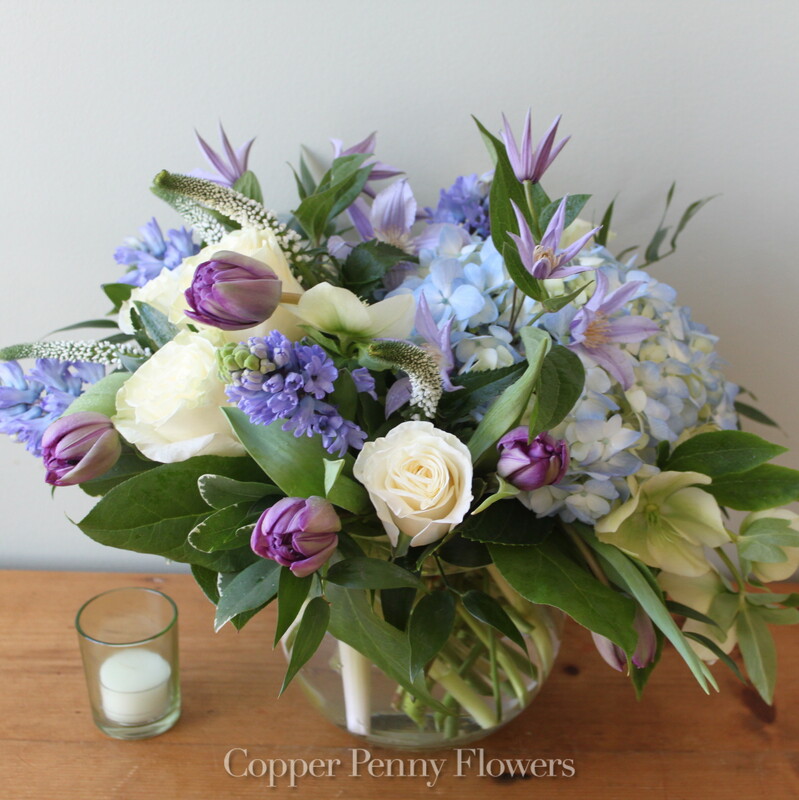 Booking an experienced florist is key to staving off floral anxiety, of course. But before booking your first meeting, thought and preparation is essential. 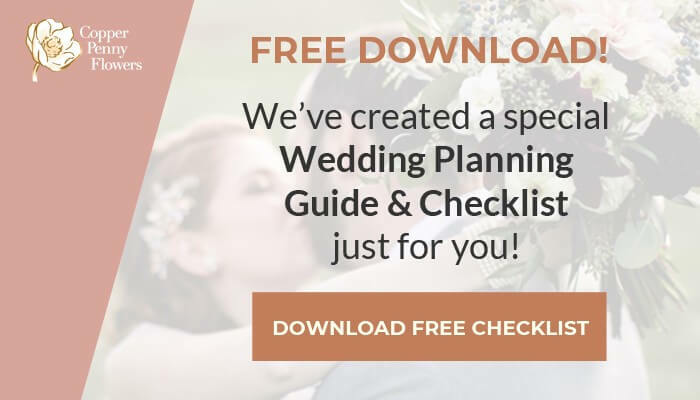 We’ve created a thoughtful and comprehensive checklist–drawn from many years of experience–to help you and your partner navigate the wedding planning process. 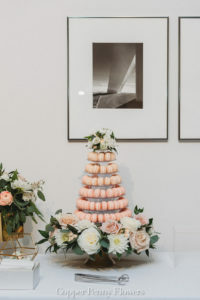 It’s important to note that by providing all of your details upfront coupled with an awareness of budget, timing and overall expectations, you can rest assured that your wedding florals will be fabulous! 1. What Kind of Bride Are You? Brides fall into many different categories when it comes to flowers. 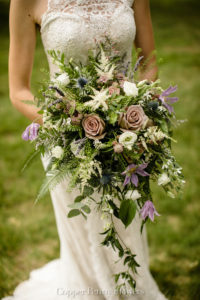 Upon booking an appointment with a florist, let them know how you envision the flowers fitting into your wedding day. This will allow the floral designer and support team to set expectations, address timing and adjust budgetary constraints accordingly. Low priority – you know you need them but they’re not as important as other items. Pick up fee for any rental items afterwards (eg. vases). 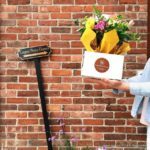 These details allow your florist to take you and your partner out of the process as much as possible (less stress!) so that you can concentrate on other things. Any special requests for large ticket items. 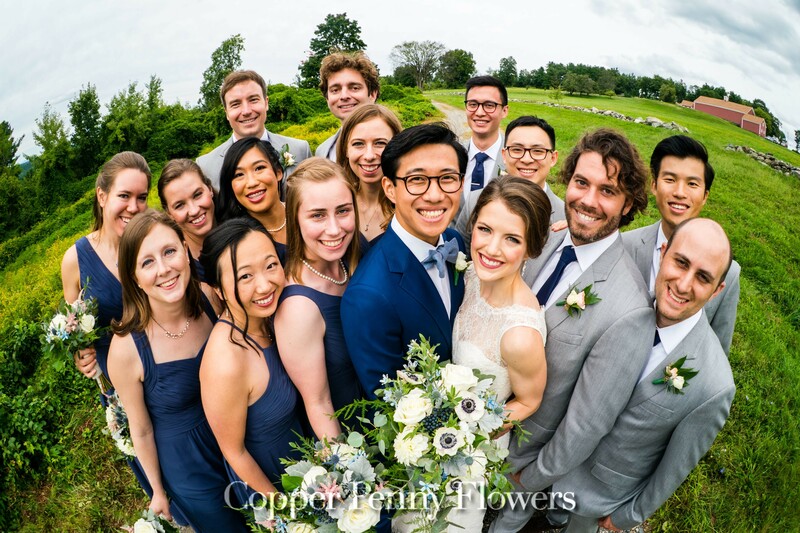 In our experience, we find that for weddings of 125 to 175 guests with bridal parties of three to four attendants, the cost of wedding flowers ranges from $2,500 – $5,000 (which includes tax, set up and delivery). 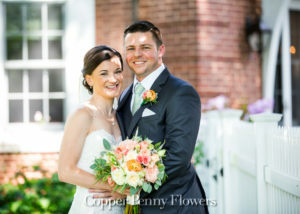 Couples can expect their floral cost to be similar to that of their professional photographer. Need a photographer? Check out our list of trusted, local professionals! Standard: button, cushion or daisy chrysanthemums, alstroemeria, asters, carnations, babies’ breath, status, sunflowers (in season), wax flower, stock, snapdragon, Gerbera daisies, certain varieties of hydrangea, lemon leaf, and leather leaf. 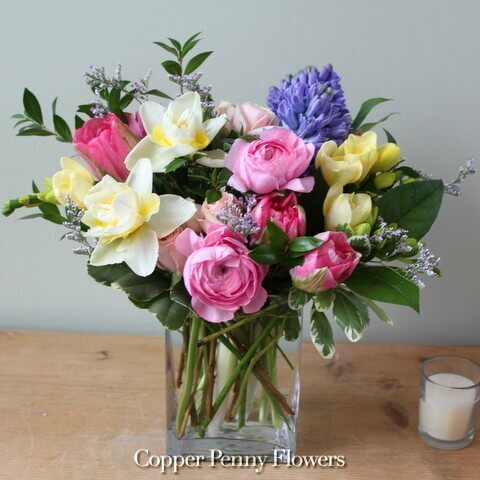 Premium: roses, spray roses, delphinium, stock, hypericum, hydrangea, tulips, lilies, hyacinth, foxglove (in season), zinnia (in season), peonies (in season), pittosporum, and ruscus. Deluxe: dahlias, peonies, garden roses, large headed roses, ranunculus, clematis, lilac, hellebore, berzillia, astilbe, anemone, jasmine, parrot, double and French tulips, freesia, stephanotis, orchids, sweet peas, Dutch varieties of hydrangea, gardenia, lotus pods, eucalyptus, olive, bay laurel, maidenhair fern, fiddlehead fern, sea star fern, and magnolia. 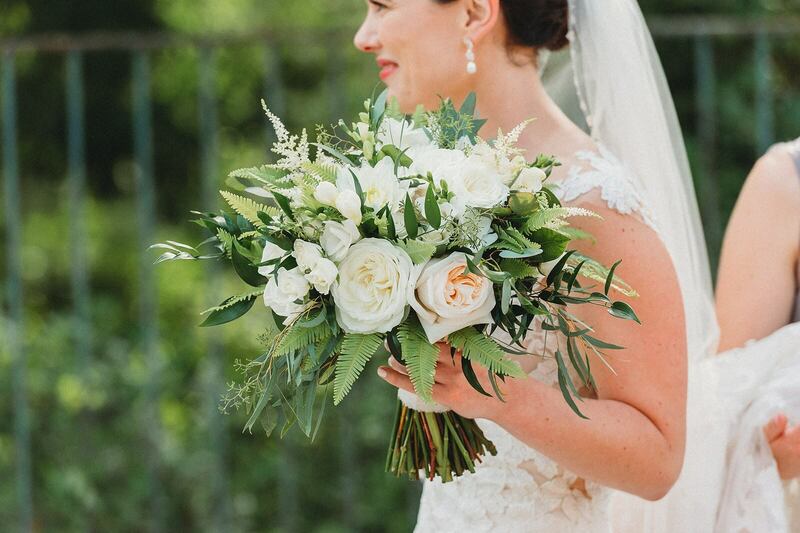 Working with a bigger budget means more leeway in terms of the types of flowers and greenery to choose from. 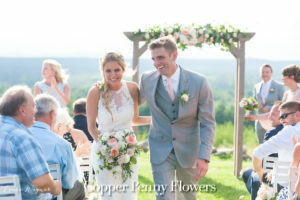 Prices do vary greatly, and demand for flowers and greens in peak wedding months drive up the price, as do larger ticket items (arbors, chuppahs or large ceremony pieces). 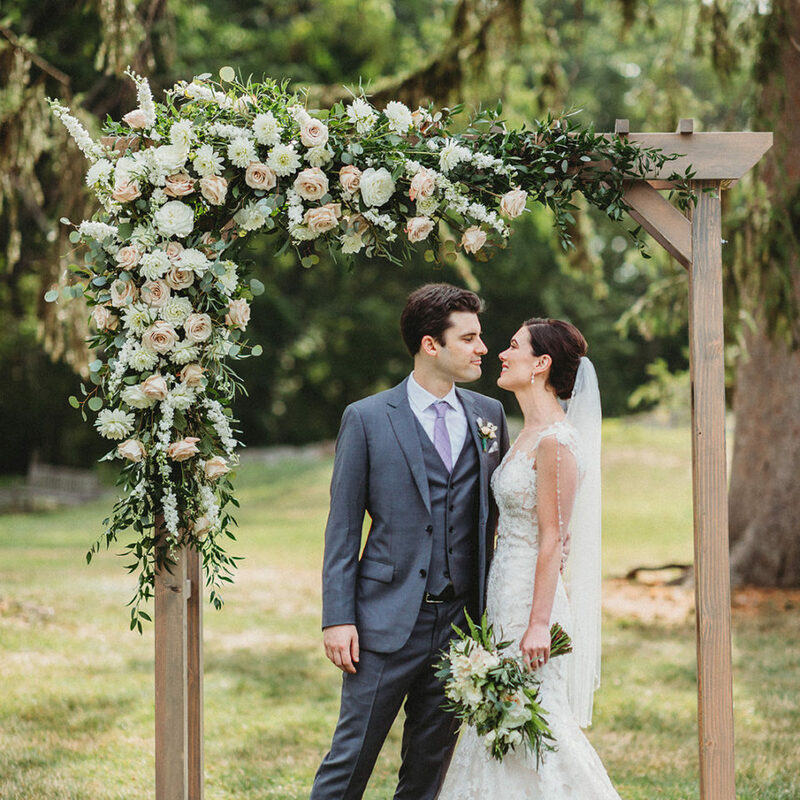 With that in mind, what type of flowers and greenery suit you best? Bear in mind that numbers will come into play here, if you have five bridesmaids and five groomsmen you need to multiply! 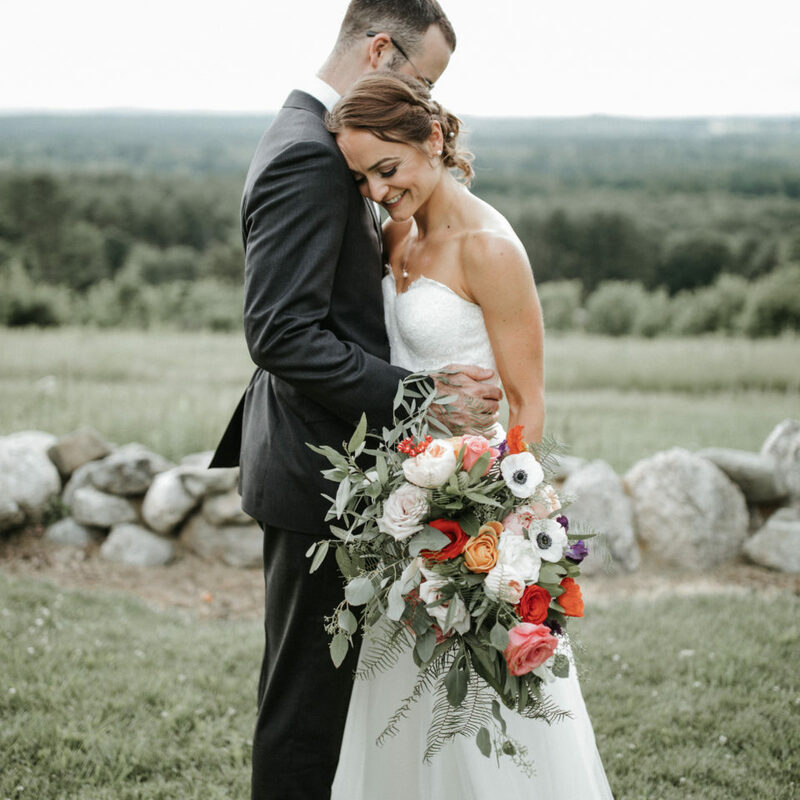 Couples should note that if they are going to hire a florist whose location is more than an hour away from their ceremony and reception location, they will pay additional delivery fees for time and travel. If your wedding ceremony and reception are at different locations, you will likely incur additional delivery fees. There is also the option for flowers to be picked up with a packing fee. Pick up packing fee 3.5% of total. Many brides like to have their wedding dress and venue locked down before scheduling an appointment with a florist. 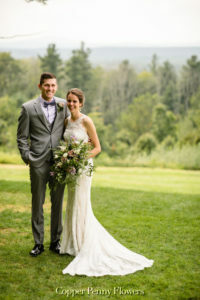 These arrangements allow them to provide a folder or mood board with images of the venue, bride/groom/wedding party attire, complete with color samples and fabric swatches. 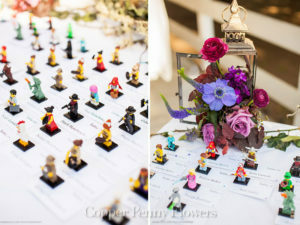 This is incredibly useful information and helps your floral designer to create a complete picture for your special day. 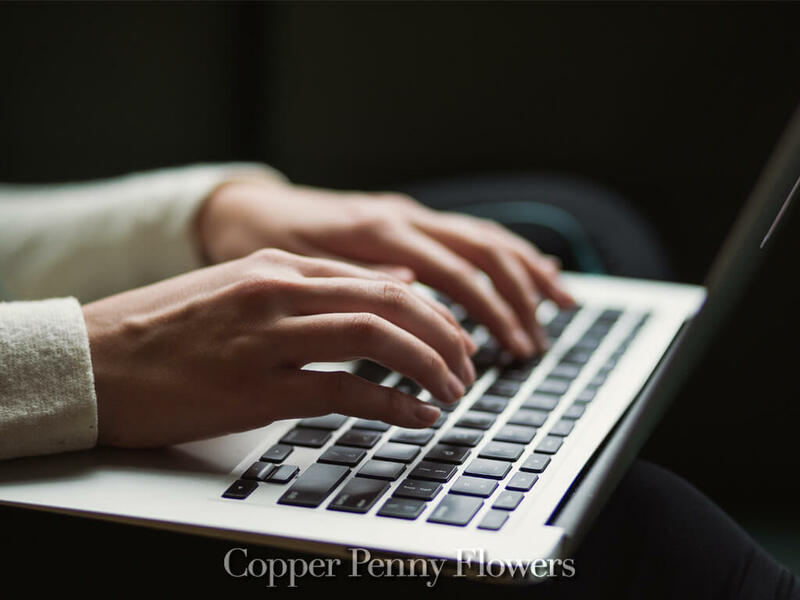 With visual representations of your style and vision, complete with photographic examples and color palette, your florist can ensure that everyone is on the same page. Never created a mood board before? Pinterest is a great place to start and we use this tool to collaborate with our clients all the time. Click here to visit our profile and see some examples. If you’re not at this stage, or unsure of flower types and arrangements, it’s still useful to gather your ideas in preparation for your floral meeting. Consider it an experiment and allow yourself to have fun! 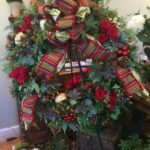 If you happen to have flexibility around the color palette or if you prefer seasonal flowers, this information can also help your florist to narrow down options and establish a solid starting point. 4. 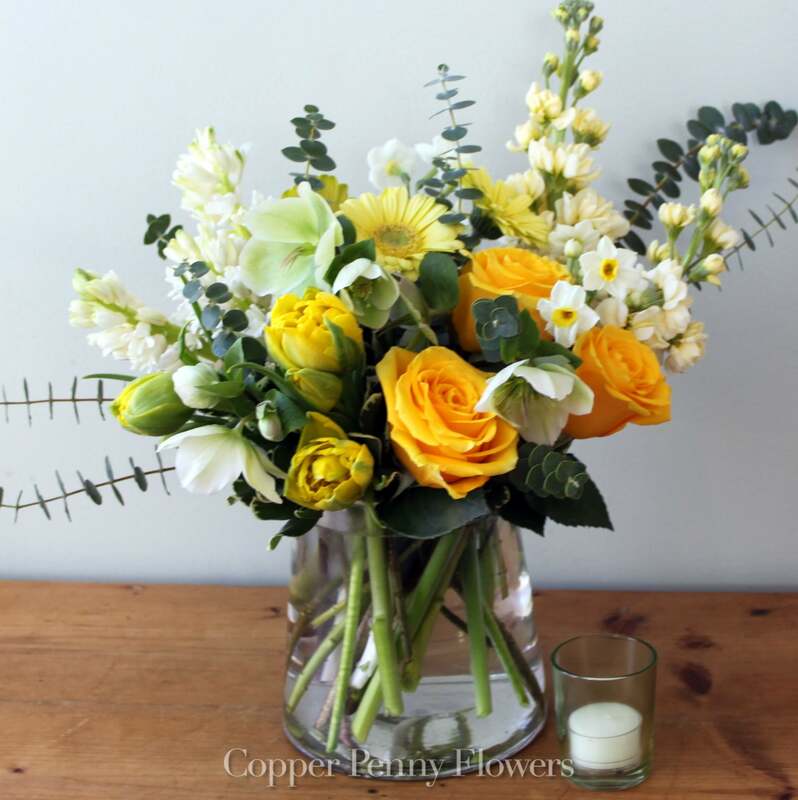 When Should You Meet With a Florist? 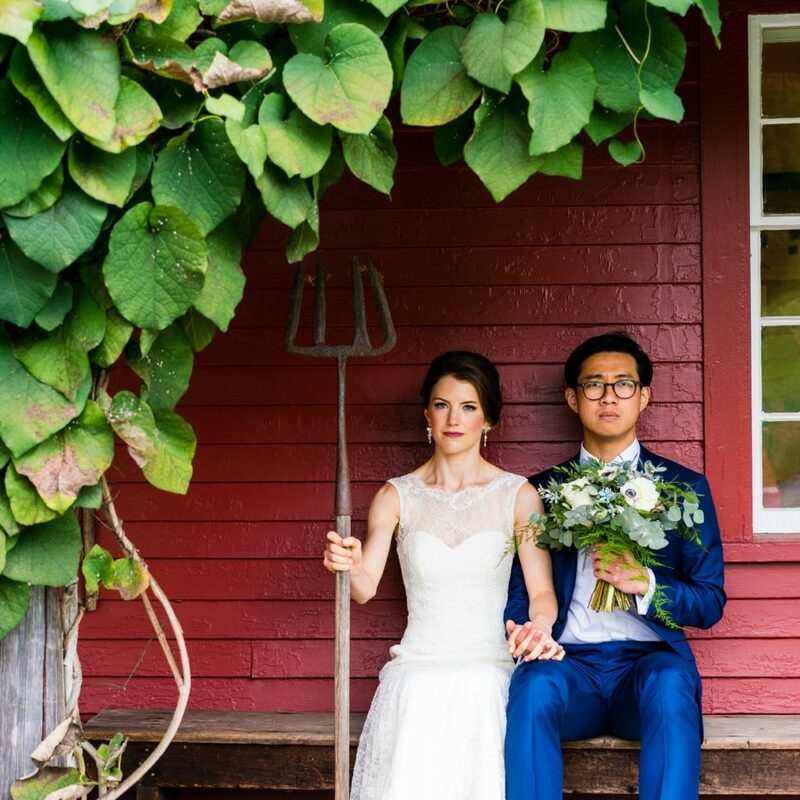 This varies depending on the size of the wedding, the season and how prepared you are. For example, if you’re planning a large wedding in peak bridal season (summer!) and wish to use a specific florist, then you should consider booking at least a year in advance. 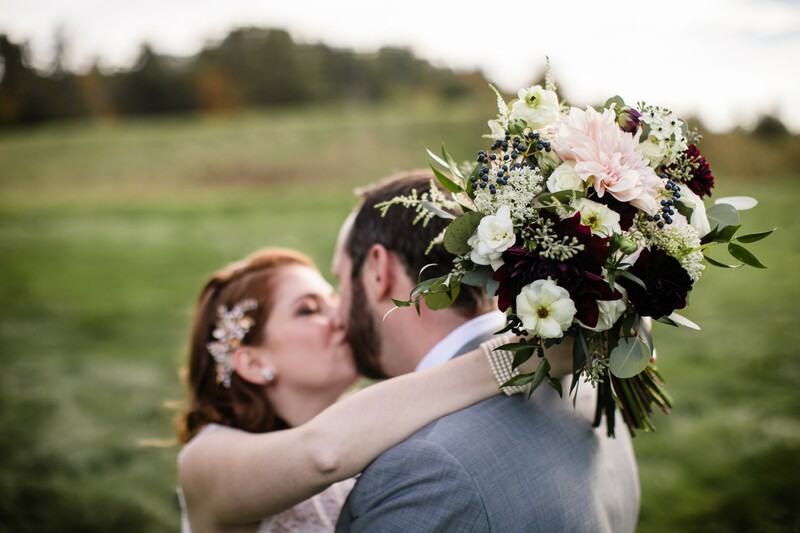 In general, most couples will meet with their florist six to eight months prior to their wedding day. If it’s a small wedding with simple arrangements, three to six months should be sufficient. But again, it depends on the season, so working ahead will always be in your best interest. The earlier you book the more selection you will have for a florist. 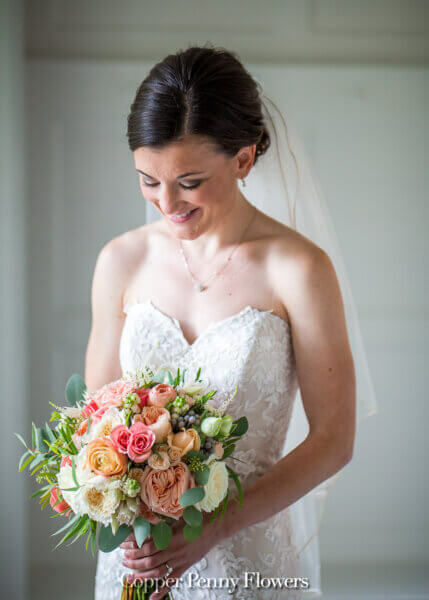 If you’re planning a wedding during the busiest bridal months (May to September) then you should schedule an appointment with your florist asap and pay a deposit to hold the wedding date. 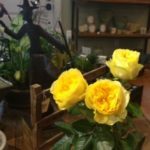 We are an award-winning boutique florist in historic Concord, providing fresh flower arrangements for weddings and events of all kinds. 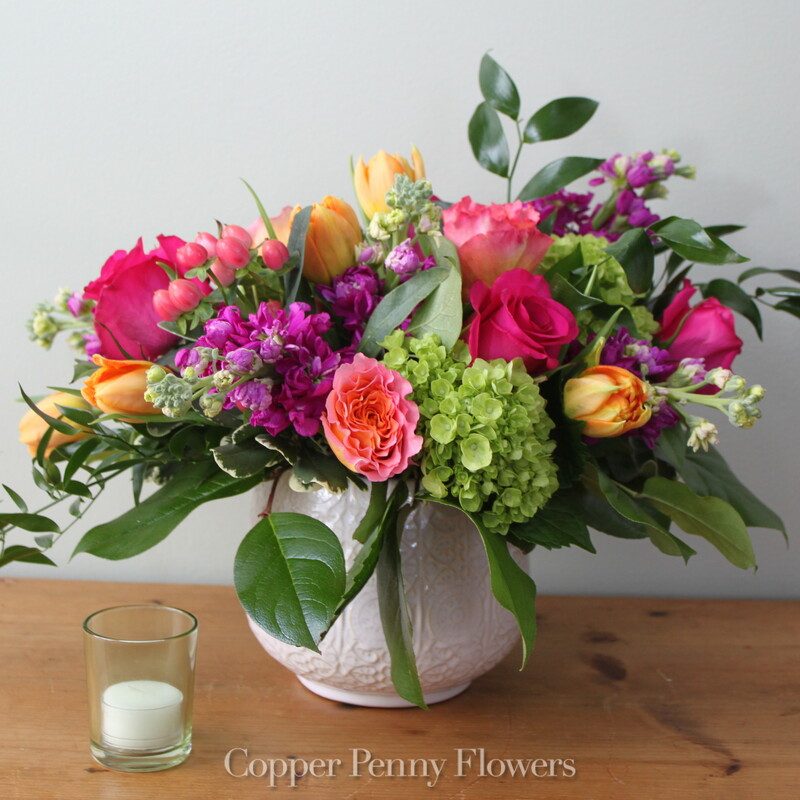 Our highly experienced floral designers have a penchant for detail and a discerning eye for design, color and the latest floral trends. See our list of trusted vendors here. 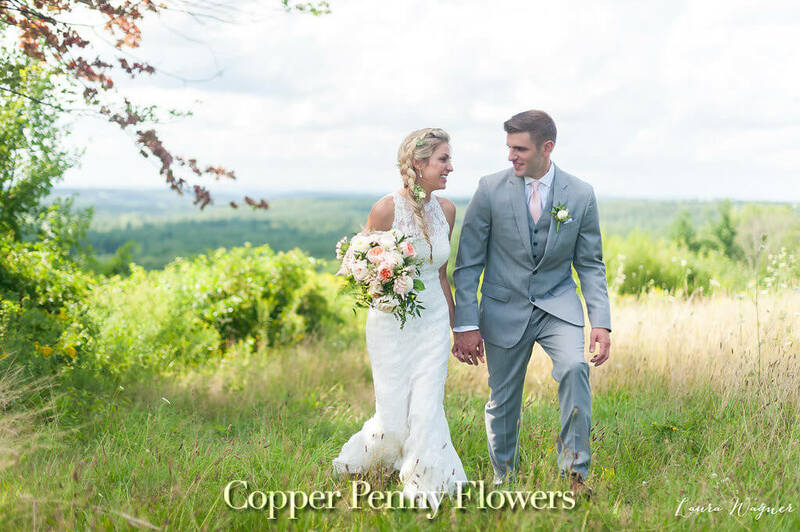 Our peak bridal month is September, closely followed by May, June, August, and October. We require a minimum budget of $2500 for Saturday dates during those times. Exceptions to this required minimum might include self pickup, local Concord weddings, or if the event is scheduled for a day other than Saturday. For these weddings the minimum is $1,500. To initiate the process of getting to know each other, we ask our brides to schedule an appointment at the shop to discuss plans and ideas for the wedding in question – please use the checklist above for guidance. This meeting will take about an hour. We are happy to schedule evening or weekend appointments to fit your schedule. After this initial appointment, we will craft an estimate based on our detailed discussion. Once the proposal is created and submitted, we will put a ten-day courtesy hold on the date of your wedding. If we do not hear back from you or do not receive a deposit within that time frame, the date goes back into our system. 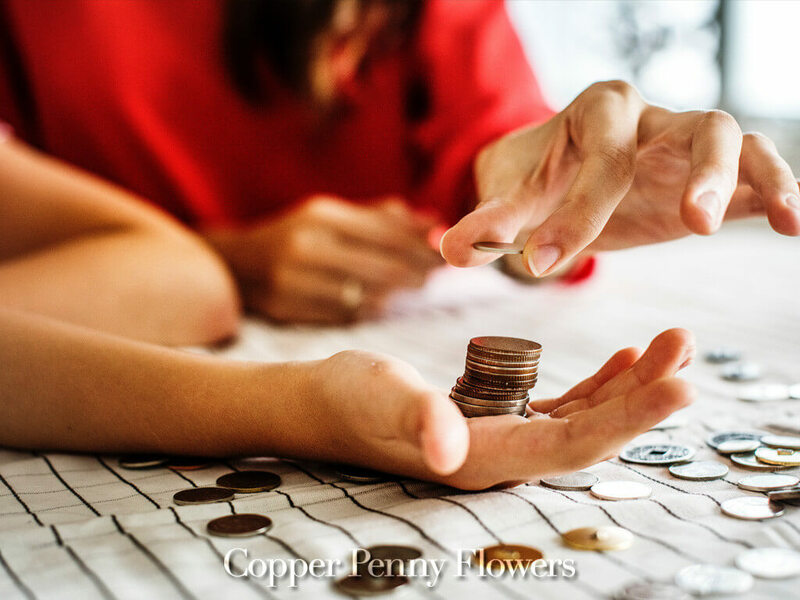 Once a contract is signed and you’ve secured Copper Penny Flowers as your wedding florist, we only require a $300 deposit to save your date! Ready to get started? 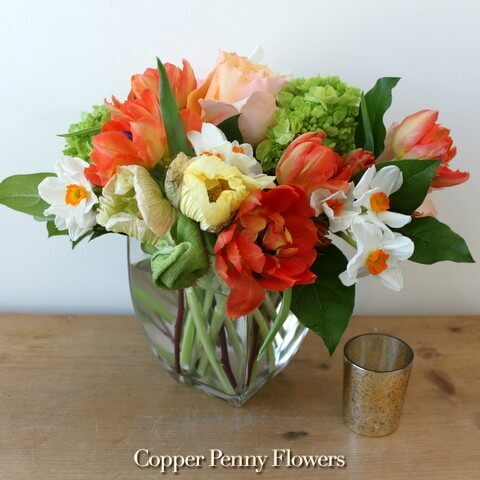 Give us a call: 978.369.4500 or email: info@copperpennyflowers.com to schedule a personal consultation. We’re excited to discuss your wedding details, help build clarity around your vision and create the day of your dreams! Can Flowering Gift Plants Be Planted Outside?